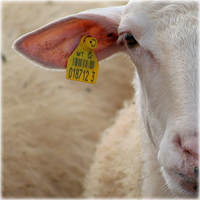 Under new regulation from the Department for Environment, Food and Rural Affairs, all sheep born on or after December 31, 2009 in the UK must have two identifiers, one electronic and one visual. Digital Angel, provider in the field of animal identification and emergency identification solutions, announced it has been shipping the Duflex FT, its new fold-over tag with specific retention and read rates, to help its European partners comply with this new legislation. The legislation was drafted, in part, to facilitate the early identification of health and safety problems through improved livestock traceability both within European countries and across Member State borders. With approximately 35 million sheep in the UK alone, officials say knowing the history of a particular herd is critical not only for the farmer but for the food consumer as well.